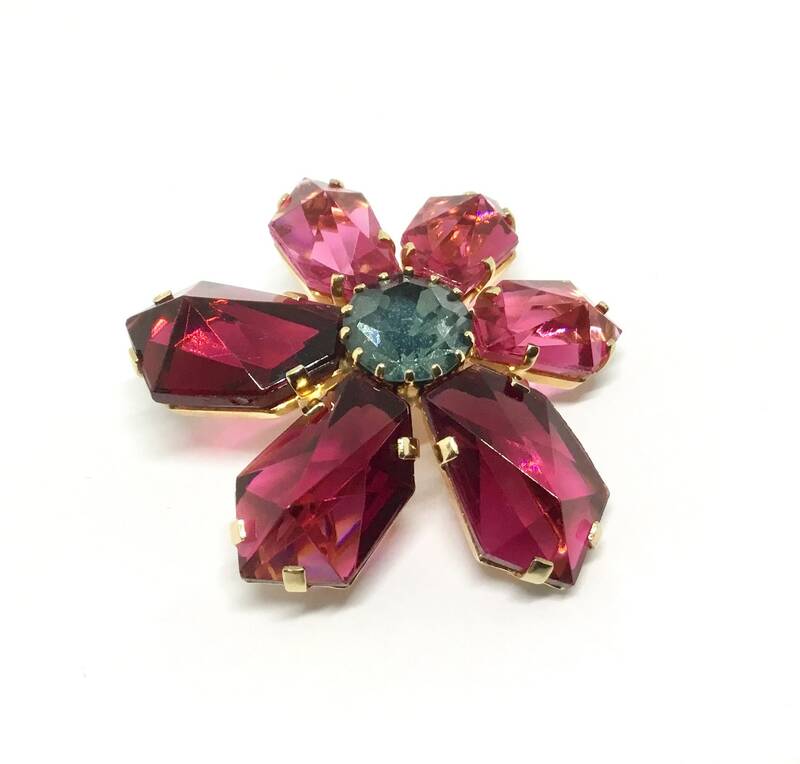 This is a pretty pink and fuchsia rhinestone vintage flower brooch and earring set. 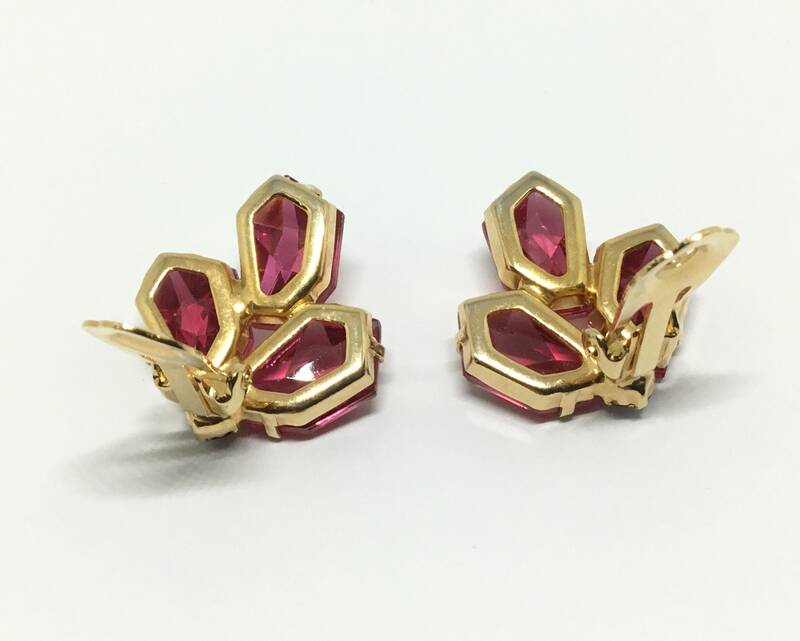 The large Rhinestones are all faceted and prong set. 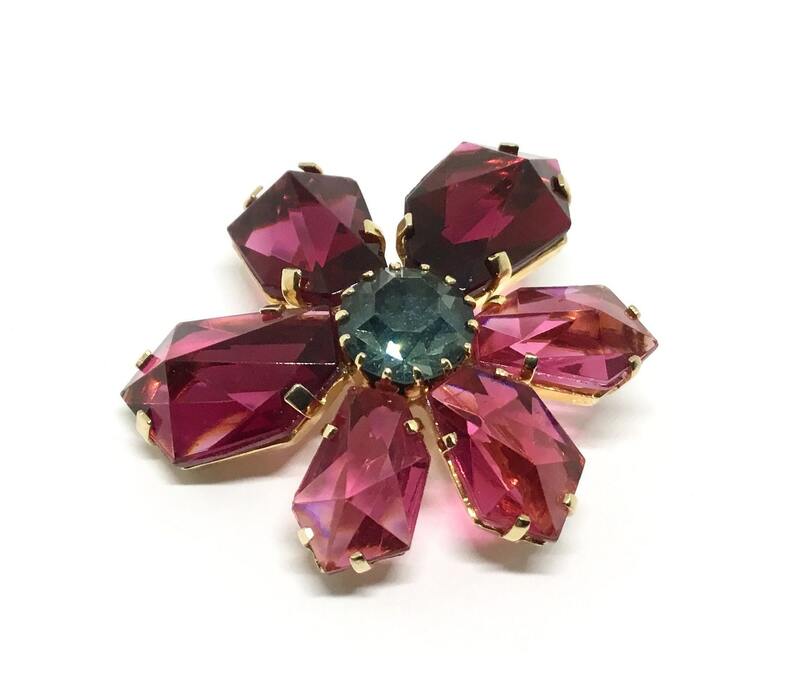 There’s a light blue/green center rhinestone. 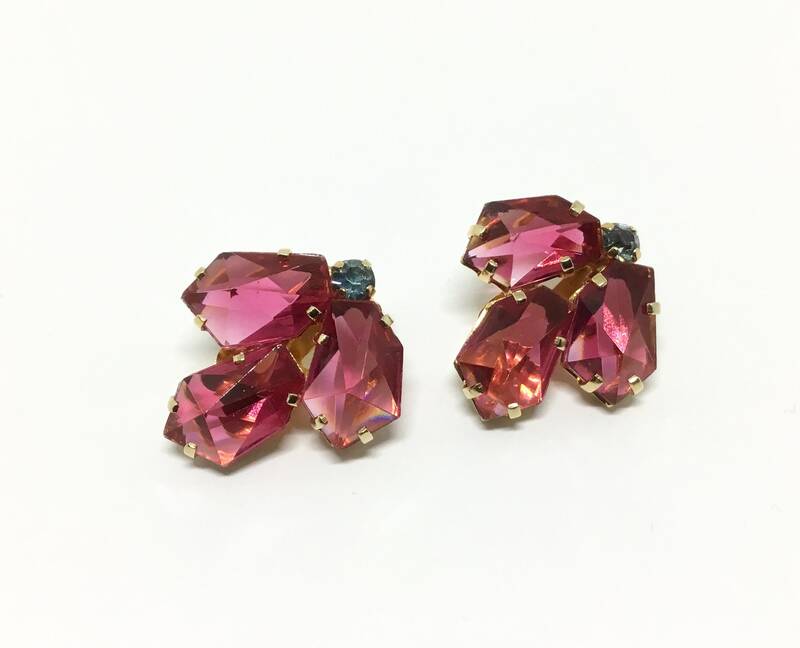 This goldtone set includes the brooch and clip earrings. 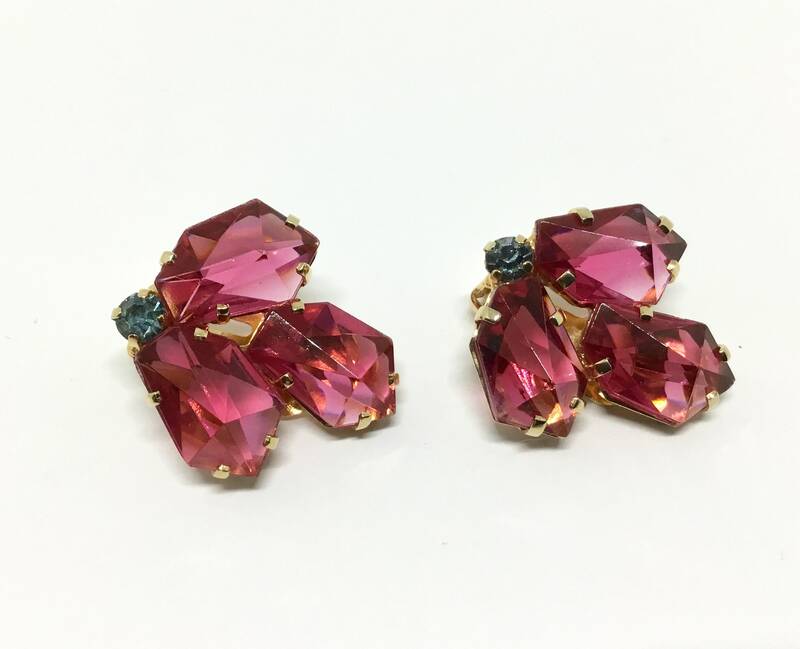 Only the earrings are signed AUSTRIA. 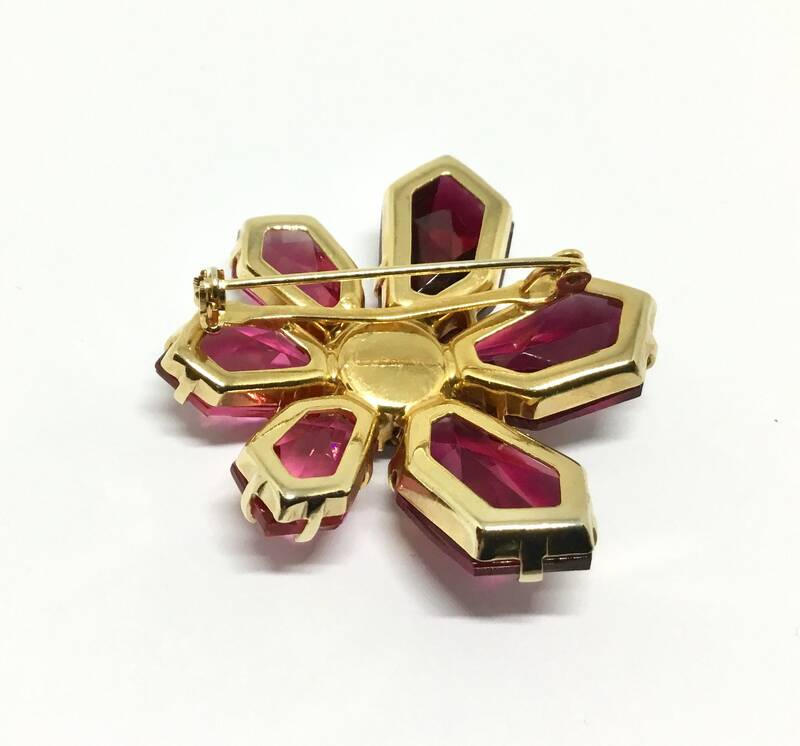 The brooch measures approximately 1 3/4” x 1 3/4” and the pinback is straight and works smoothly and securely. 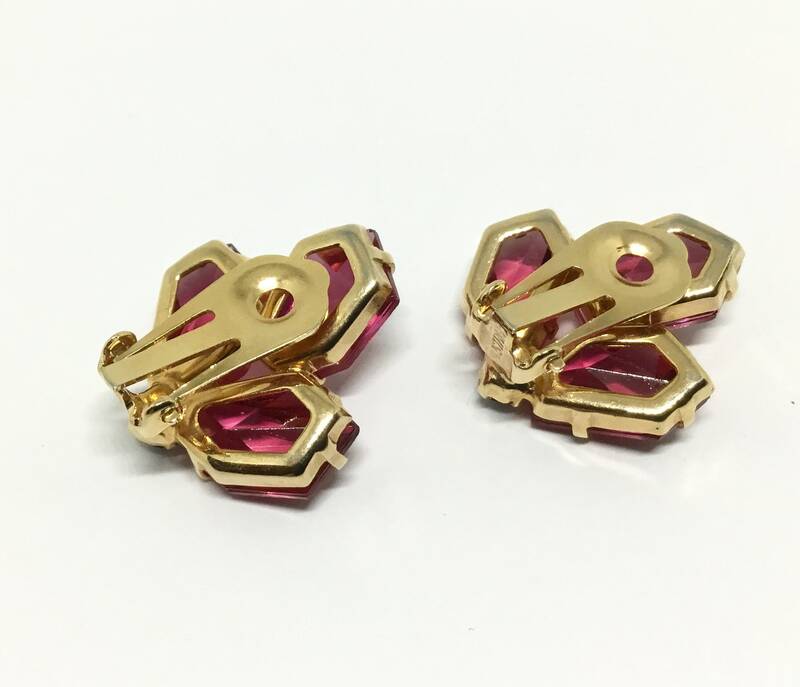 The clip earrings are tight and measure 1” x 1”. The set is in excellent condition. 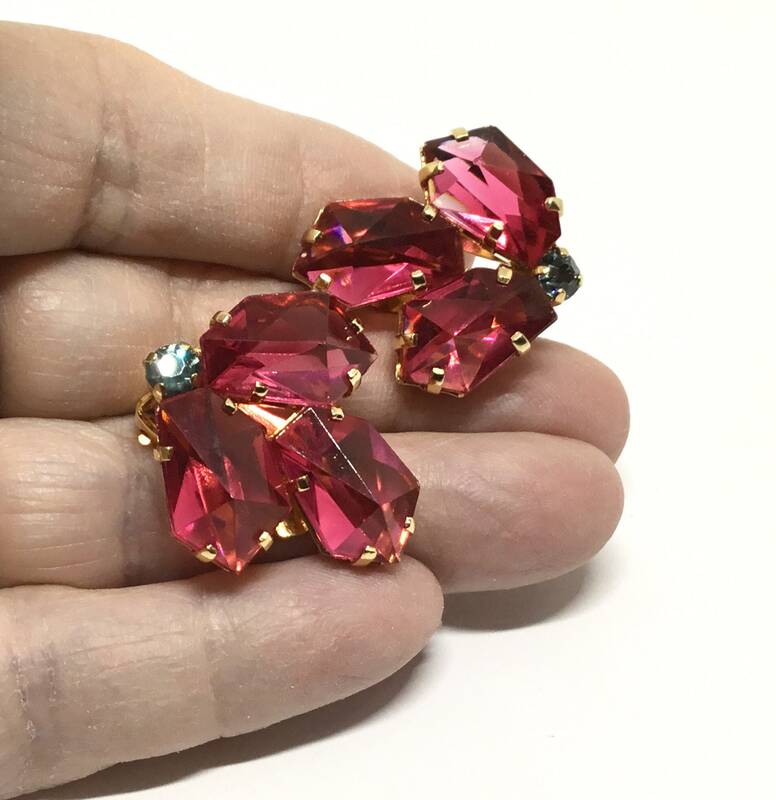 A sweet set with large rhinestones to wear for work or play. A great conversation starter!